The snow-capped mountains glistened spectacularly against a bright blue sky, overlooking rain-soaked paddocks and mobs of ewes that appeared very alert thanks to the cool 6°C breeze. 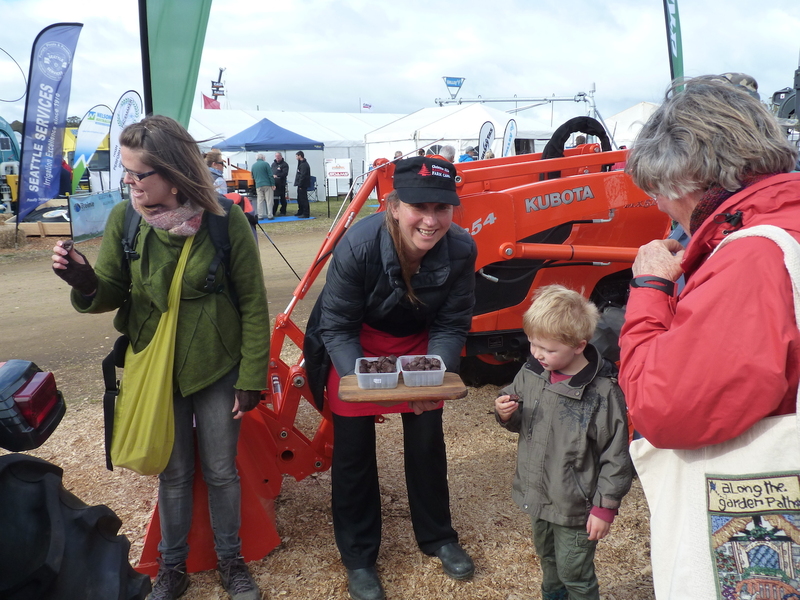 The state’s largest agricultural field days, played host to more than 700 exhibitors and more than 60,000 visitors including the Prime Minister who enjoyed the foods that Tasmania’s producers are so well known for. A selection of that local produce was showcased on the From Paddock to Plate (FP2P) stage, set up amongst the bright orange Kubota tractors, for all to sample.